The new Katana stole headlines last month when it was unveiled at the Intermot motorcycle show in Cologne, Germany, and now Suzuki has revealed a black version of the modern retro, which draws inspiration from the original icon launched nearly four decades ago. Shown for the first time today at the Milan show, Italy, the black Katana will join the classic silver in Suzuki’s 2019 range. The new Katana takes styling cues from the original machine but moves the design into the modern era, with its lines inspired by the handcrafted Japanese sword by the same name. Yet under the skin the new machine uses thoroughly modern engineering. 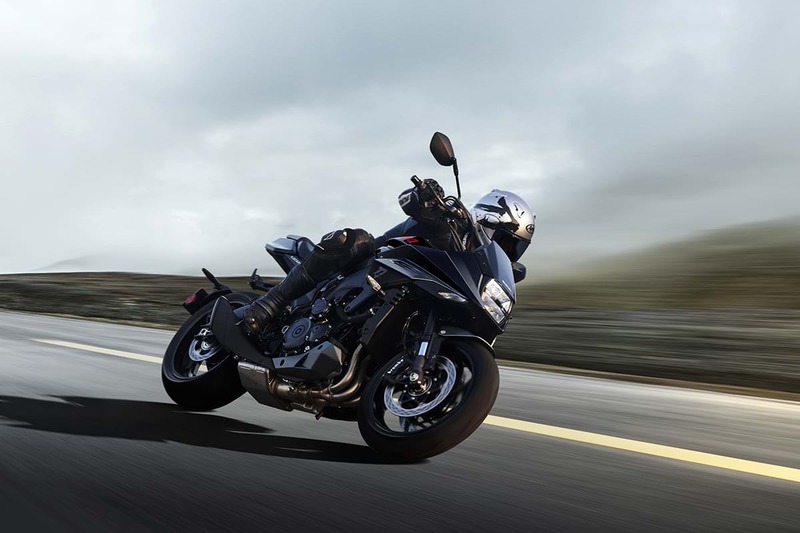 The frame is the same lightweight, twin-spar aluminium frame that is specific to the popular GSX-S1000 series, while the inline four-cylinder engine is the famed powerplant that began life in another noteworthy Suzuki – the GSX-R1000 K5 – heavily revised and modernised for street-based performance, with a peak power output of 150PS at 10,000rpm, and peak torque of 108Nm at 9,500rpm. While the original Katana was only available in silver, the expansion to two colour options for 2019 gives customers that added level of choice. Suzuki will be displaying the new Katana at Motorcycle Live which takes places 17-25 November at the NEC in Birmingham, and it is expected to arrive in UK dealerships in spring 2019.